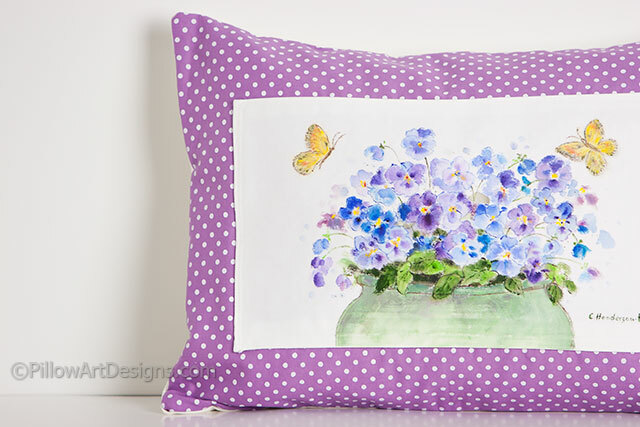 Fresh purple and white pansies in a deep moss green pot, two yellow butterflies flutter above. 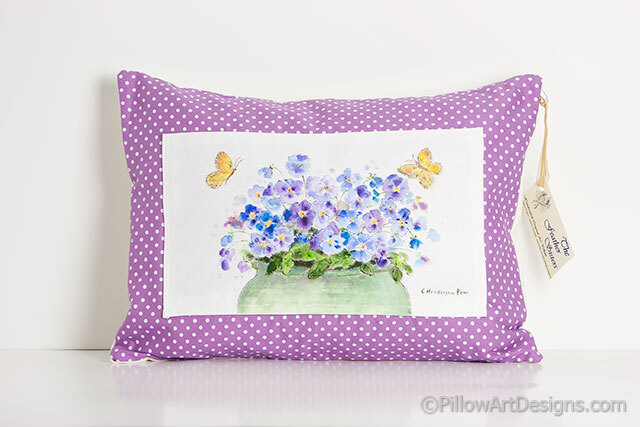 Hand painted on white cotton panel and sewn to lilac and white dotted decorative fabric. Fully lined with 100% cotton. Such a fresh, clean and bright looking decorative piece to brighten up your room! 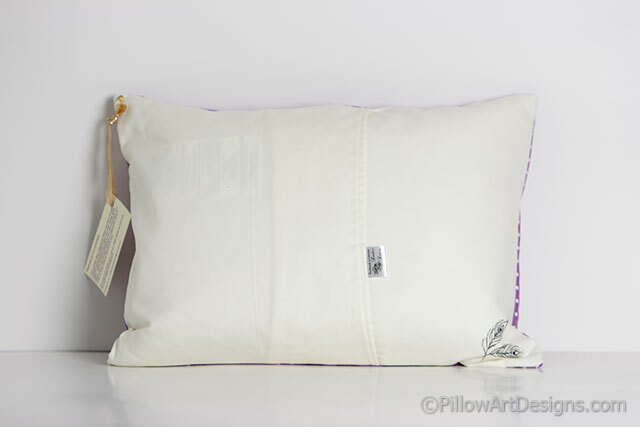 All Feather Sisters art pillows are painted and signed by Canadian artist Carol Henderson-Pew. Our Feather Sisters logo is hand painted on the bottom back corner.